Mystic Chemist is the authoritative biography of the most famous chemist of the 20th century—and of his most famous discovery, LSD. 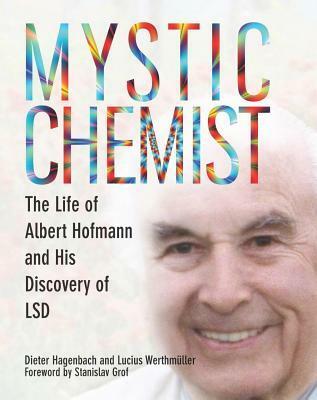 Authors Hagenbach and Werthmüller, close friends of Hofmann, take us on a journey through the 20th century from his mystical childhood experiences with nature; to his chemistry studies with Nobel Prize winner Paul Karrer in Zurich through his discoveries of both LSD and psilocybin at Sandoz; to his adventurous expeditions and his many years of retirement devoted to philosophy of nature and a rich social life. The authors also reveal a thorough and eventful history—with lovely and legendary illustrations—of the surprisingly wide-ranging impact of LSD on culture and the ensuing struggles between advocates and opponents, many of which persist today. This invaluable survey covers all the key stages: the revolution in clinical therapy; the youth movement of the sixties; innovations in computer technologies; to the birth of a new science of consciousness and much more. Rich in detail and telling a remarkably resonant evolutionary story, Mystic Chemist is, in the words of visionary artist Alex Grey, “the best compendium of the birth and transformative effect of one of the greatest discoveries ever made.” Albert Hofmann was voted “greatest living genius” in 2007 by the Daily Telegraph.